Hail, daughter! Hail, mater! Hail, full of pity! Hail, chosen to the Persons Three! 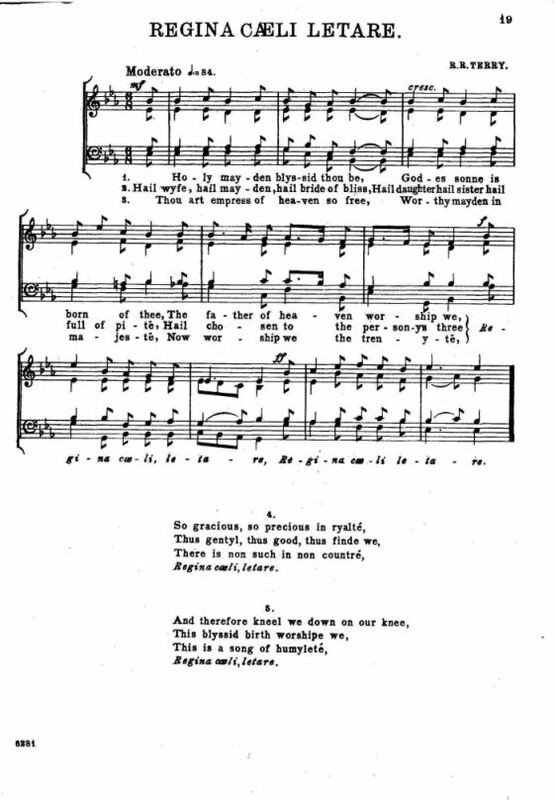 Sheet Music: Richard R. Terry, Twelve Christmas Carols (London: J. Curwen & Sons, Ltd., 1912), p. 19. Regina celi, letare is translated by Rickert as "Queen of Heaven, rejoice."